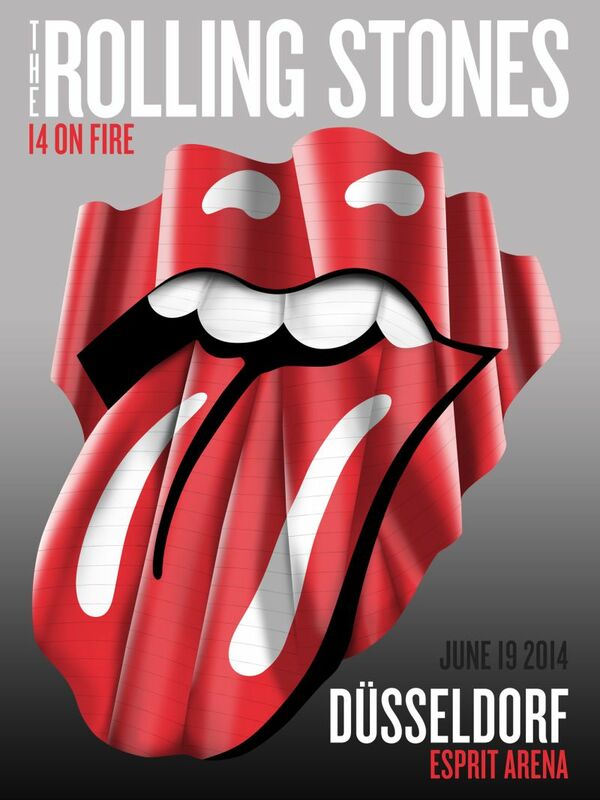 This thread is for live updates and comments regarding The Rolling Stones show at the Esprit Arena in Düsseldorf, Germany on 19 June 2014. Please tell us your pre- and post-show thoughts and comments here. Edited 1 time(s). Last edit at 2014-06-19 14:50 by bv. Hope it's ok, with me starting this. 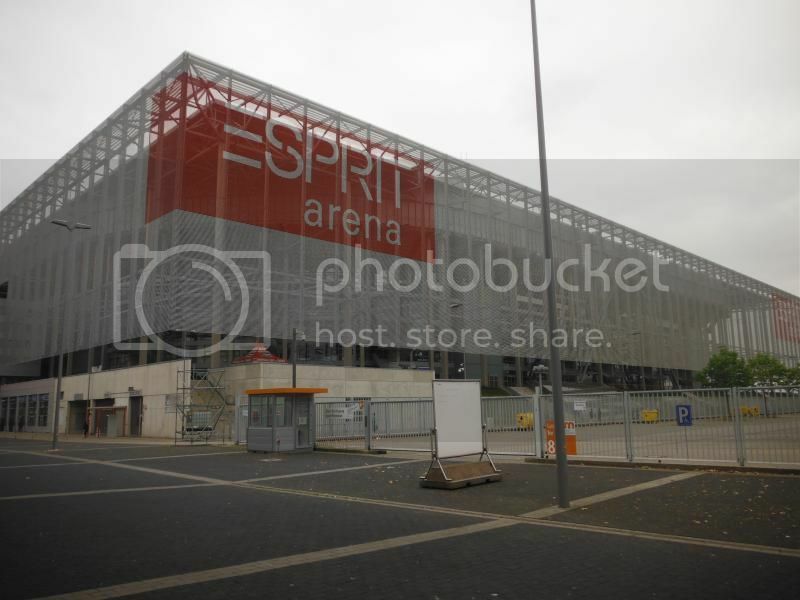 I didn't have much going on this morning and decided to check out the Esprit Arena. What time you think we should be going to get a sweet spot? No clue. Besides some workers. I didn't see any fans there. Went into the Tulip Inn to see if they had a room. No luck and knew there wouldn't be, but I had to see. Walked around for a bit. Then went back to the Dusseldorf Hpf and got a room nearby. I have FOS ronnie's side, but I'm not too crazy about sitting in line all day. Really wish they just sold seats for the FOS. I've been front row a few times on the Bigger Bang tour. So nowadays, as long as I can hear them pretty good, Im happy. was the entrance for FOS Ronnie side easy to find? On some tickets for FOS they might have printed wrong information about the entrance. I hope there will not be any chaos like at other venues. Edited 1 time(s). Last edit at 2014-06-19 15:22 by MAF. Chance of showers and Holiday makes the city a little grey. Hope the concert will be fantastic. Just got back from getting a few shirts. Small lines so far for the arena. As far as the merch tent, you had to walk around back, by the football practice fields. Only a few people in line, this was ~ 14:30. They had a guy at each line, where people were showing tickets and he was directing them where to go. Seemed pretty easy to figure out, compared to Vienna. Again, not many people there a lil bit ago. Edited 1 time(s). Last edit at 2014-06-19 16:06 by MingSubu. 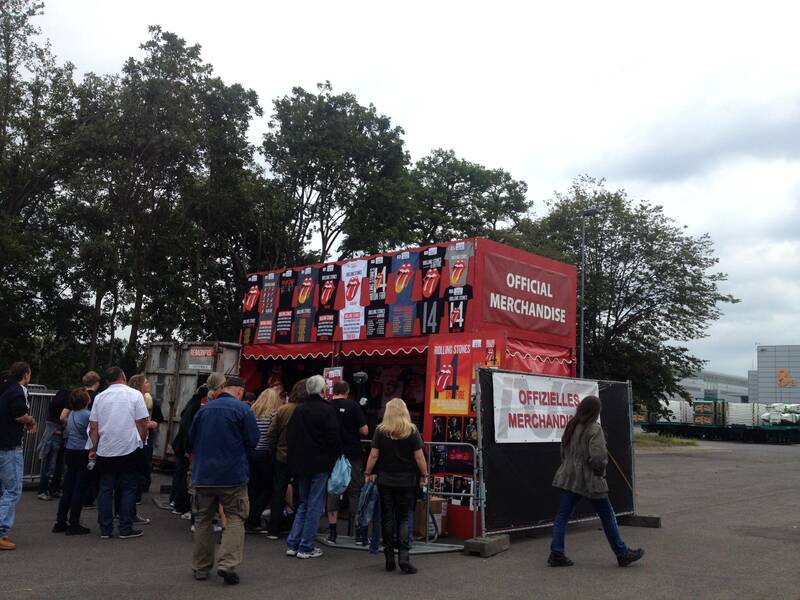 Do you have any photos of of the merch tent>? Edited 1 time(s). Last edit at 2014-06-19 16:57 by mace. Edit: don't know how to upload images directy on the post, sorry! Edited 1 time(s). Last edit at 2014-06-19 16:24 by Leonardoperro. I especially made this pic for you guys, last saturday, when approaching DUS comming from IST. See you tonight in the Arena. Edited 1 time(s). Last edit at 2014-06-19 16:47 by DrSnuggles. Hope you all have a great show tonight - everyone who's going! As usual, I'll be looking forward to the reports, updates, photos, etc. That is a neat pic! Wonder where in Dusseldorf? 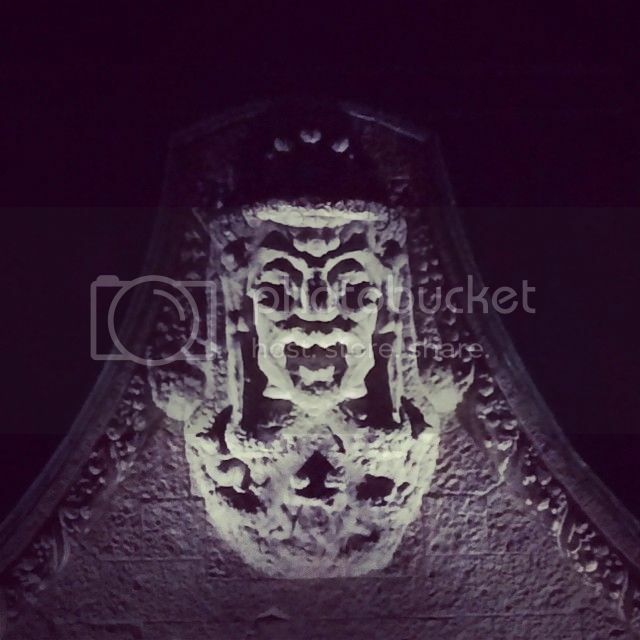 Doesn't say Ming, although one person in the comments suggested it was the original honky tonk woman. I'm leaving now from Maastricht. One hour drive to Dusseldorf. So excited!!!! 1st -> I hope y'all have a great time at the show and I'm looking forward to your reports. 2nd -> Cool photo of the arena. As an American it's interesting to see how little parking there is at the site. I'm assuming that there's a train station close by. On a total side note: Does anyone have an estimate at to what percentage of people take public transportation to the show as opposed to private car? They have the same beerglasses as in Paris! Edited 1 time(s). Last edit at 2014-06-19 19:25 by Niek. Have a great time everybody going. Will have one eye on the england match and one eye this forum. Just got in fos links. 6pm. Security outside hugely stressed by everyone running. They must be used to gentle soccer crowds..
Edited 1 time(s). Last edit at 2014-06-19 19:06 by glimmerkkp. Edited 1 time(s). Last edit at 2014-06-19 19:21 by schwonek. Currently one hour wait at the lucky dip office.